Jeff Bezos of Amazon has announced they are testing unmanned drones to deliver parcels to customers in 30 minutes or less. 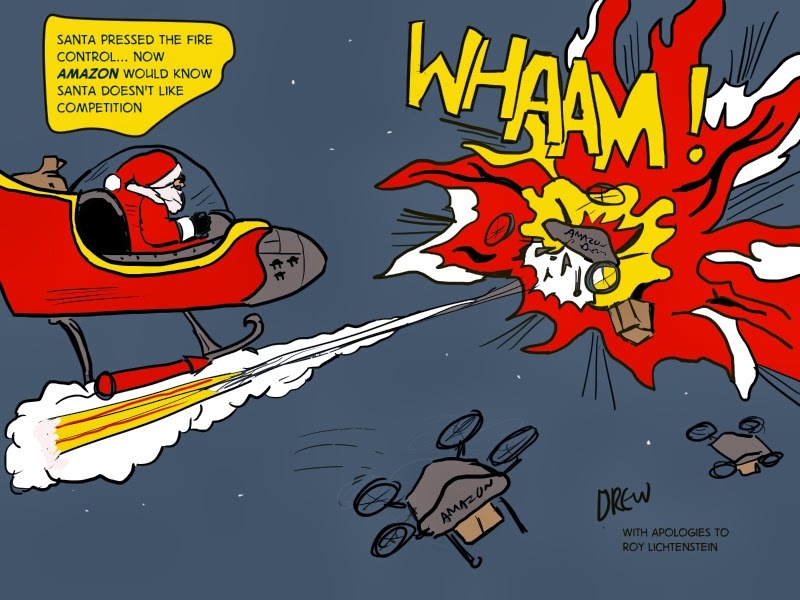 Not everyone is convinced least of all Santa who sees it as a direct threat to his seasonal business (also the Tooth Fairy is worried about being replaced by a drone). I enjoyed drawing this as a parody of Roy Lichtenstein's 1963 Whaam painting. Amazon will start World War Three by flying into restricted airspace.